The next steps of fuel consumption legislation will require a combination of engine measures with electrification to reduce the energy demand of the vehicle. 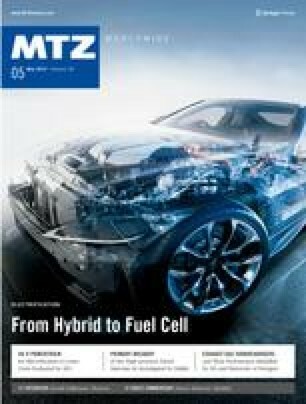 The introduction of 48-V electrical architecture provides increased electric recuperation and limited electric driving at lower cost compared to full hybrid solutions, offering considerable fuel reduction potential in the WLTC . P0: The electric motor is installed in the belt drive system of the combustion engine. P1: The electric motor is fixed to the crankshaft of the combustion engine. P2: The electric motor is installed between combustion engine and transmission. A C0 clutch can decouple the engine from the powertrain. We would like to thank all colleagues involved for their contribution, in particular Thomas Pels, Carsten Kaup, Armin Traussnig, Christof Sams and Bernd Jeitler.